liquid: Normally In 250kg net Plastic Drums, IBC drum can also be used as required Powder:25kg drums . HEDP is an organophosphoric acid corrosion inhibitor. It can chelate with Fe, Cu, and Zn etc. metal ions and form stable complex compound. It can dissolve the oxidized materials on these metals’ surfaces. Under 250℃ HEDP shows excellent scale and corrosion inhibition ability. HEDP has good chemical stability under high pH value, hard to be hydrolyzed, and hard to be decomposed under ordinary light and heat conditions. Its acid/alkali and chlorine oxidation tolerance are better than that of other organophosphoric acids (salt). HEDP can react with metal ions in water system to form hexa-element chelating complex, with calcium ion in particular. Therefore, HEDP has good antiscale and visible threshold effects. When built together with other water treatment chemicals, it shows good synergistic effects. The solid of HEDP is high purity product, suitable for using in winter and freezing districts. it is quite suitable for using as cleaning agent in electronic fields and as additives in daily chemicals. HEDP is widely used in the in circulating cool water system of electric power, chemical industry, metallurgy, fertilizer, etc. and widely used as a scale and corrosion inhibitor of low-pressure boilers, field waterflood, oil pipeline. In light&textile industry, HEDP is used as detergent for metal and nonmetal. In dyeing industry, HEDP is used as peroxide stabilizer and dye-fixing agent; In non-cyanide electroplating, HEDP is used as chelating agent. The dosage of 1-10mg/L is preferred as scale inhibitor, 10-50mg/L as corrosion inhibitor, and 1000-2000mg/L as detergent. Usually, HEDP is used together with polycarboxylic acid. Wuxi Sigma Chemical Product CO.,Ltd, The factory covers an area of 120000 square meters. It is a high-tech enterprise which integrates scientific research, production and trade. Currently, our factory has excellent equipments, strong technical force, advanced production technology and perfect testing methods. The products have won a good reputation in chemical-related fields at home and abroad. We currently have the fine chemicals, pharmaceutical raw materials and intermediate products. All our products have passed the ISO 9001:2008 quality management system certification. And our company was named High-tech Enterprise of Jiangsu Province and Wuxi AAA Grade Contract Trustworthy Enterprise. We adhere to the guidelines of “better branded, best services, high-efficient work and reliable credibility” all the time. Guided by the world trend of the development of medicine and chemical industry, we constantly develop the advantageous varieties at home and abroad. Our products have been produced with CP, USP, EP, JP and other standards. In order to meet the market demand, our company has successively built research and development centers, large and medium-sized production workshop and auxiliary workshop, making the product quality on a new step. All chemicals are typically >97% for building blocks, The structure and purity is confirmed by NMR and LC-MS.
Intermediates and final products are analyzed by GC, HPLC, IR, NMR, MS, elemental analysis, atom-absorpting analysis and crystallographical methods. ♦ Fax. if you have a purchase order, please fax it to us at 86-510-87017746. ♦ Telephone. you may call us at 86-510- 66560489 . ♦ Email. Please send your email orders to us. 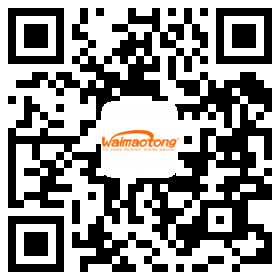 Company Name:WUXI SIGMA CHEMICAL PRODUCT CO., LTD.